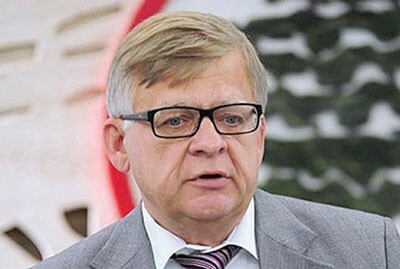 Russian Ambassador in Beirut, Alexander Zasypkin reiterated his country’s firm stance towards Syria, calling for reaching a peaceful solution for the crisis in Syria based on Geneva statement. In an interview with Lebanese al-Diyar newspaper published on Sunday, Zasypkin said “Statements that have been attributed to the Russian President’s Special Envoy to the Middle East, Deputy Foreign Minister Michael Bogdanov are a media game,” asserting that Bogdanov’s speech has been taken out of context as he was touching upon opposition reports on an alleged victory of the armed terrorist groups. He stressed that his country sees no other options but a political solution based on dialogue and the implementation of Geneva Statement without preconditions that hinder dialogue as the only solution to the crisis in Syria. He asserted that there is still available opportunity, despite all violence perpetrated in Syria, for a peaceful solution as Russia sees there is no alternative option. He criticized the Doha coalition which wants to fragment Syria, warning against the repercussions of this intention on the future of Syria and the possibilities of partitioning it. Meanwhile, International Advisor to Iranian Shura Council Speaker Hussein Sheikh Al-Islam stressed that terrorists who entered Syria from abroad with Arab and western support to ignite the region will not be able to topple the Syrian state, describing their terrorist crimes as “a flagrant violation of the regional and international laws and charters”. In a phone call with Iranian al-Alam TV Channel aired on Sunday, Sheikh al-Islam pointed out that the whole world see the crimes committed by the terrorists in Syria, asserting that a lot of Arab regimes helped and got embroiled in the Western scheme aiming at destroying the infrastructure in Syria. The Iranian official underlined that the Syrian state is still strong and coherent and the Syrian people are still unified behind their leadership and army in confronting terrorism. Sheikh al-Islam called on the West to stop interfering in Syria’s internal affairs, indicating that the problems of the region are the result of the West interference.